New Zealand's spectacularly beautiful landscape includes vast mountain chains, steaming volcanoes, sweeping coastlines, deeply indented fiords and lush rainforests. Discover New Zealand through this sample itinerary. Discover paradise at the Eagle’s Nest Luxury Villa Retreat, a 75-acre estate overlooking the Bay of Islands. Guests are within walking distance of the charming town of Russell, yet are tempted to stay put in the remarkably luxurious villas; four of the five offer their own Jacuzzi, heated horizon-edge lap pool, air conditioning, original artwork, home theater system, fully equipped gourmet kitchen and more. Enjoy a fantastic day out sailing through New Zealand's world famous Bay of Islands. Your private sailing boat is fast and nimble enough to explore the bay with ease, yet has the comfort, safety and ambiance to provide an exceptional day on board, enjoying the breeze and the view from the covered deck. Guided by our professional and knowledgeable crew enjoy beach combing, a light walk and lunch served in a sheltered cove. As you cruise the stunning harbour you will also become aware of the significance of the Maori and maritime history in the area. 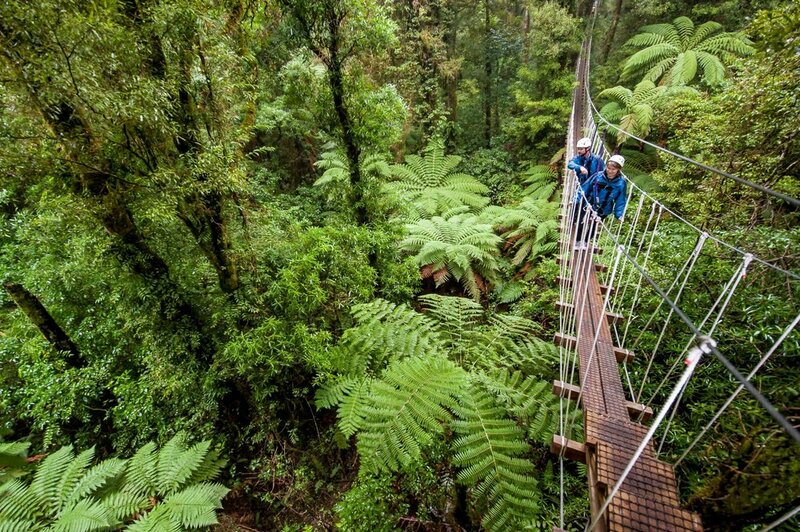 Fly through the air as you traverse the forest with local guides, whizzing from tree to tree whilst taking in the spectacular views of Rotorua like you've never seen them! The sheltered platforms in the trees, between each flying fox line, provide a relaxed setting to hear more about your exciting surroundings. A safe, ecological and guided adventure that's unforgettable, rain or shine! You will see mountains gliding by as your helicopter winds its way across Lake Wakatipu on an unforgettable flight to Milford Sound. After a landing at one of the secluded alpine lakes in the hearth of Fiordland National Park, this breath-taking flight takes you over lush rainforest, through deep bush-fringed valleys and past rugged mountain peaks out to the Tasman Sea and West Coast. 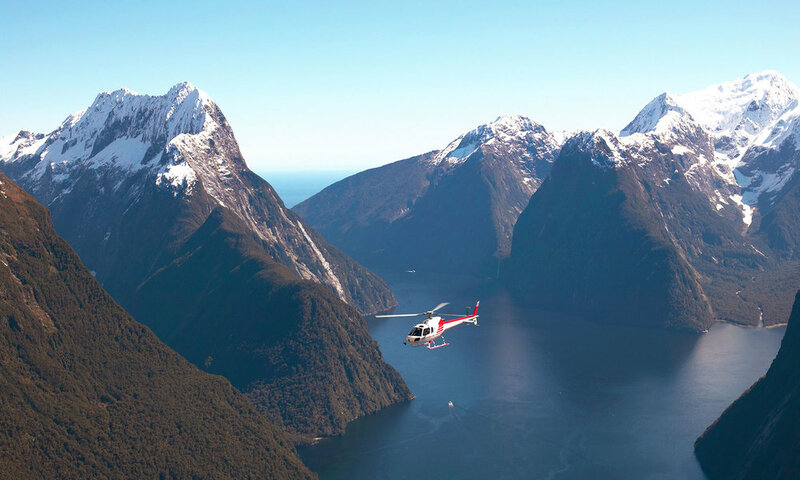 Your flight will then sweep the full length of Milford Sound past sheer cliffs and gushing waterfalls. Experience a glacier landing before touching down at one of the secret wilderness sites for a picnic lunch! Paying homage to the rata tree, native to New Zealand, Rātā restaurant is an award winning eatery, owned and operated by internationally recognized Michelin starred chef Josh Emett, and highly regarded local restauranteur Fleur Caulton. Rata takes inspiration from the southern landscape and everything that epitomizes New Zealand. A relaxed eating-house with a neighborhood feel, Rātā is known for its excellent service and exceptional food. The restaurant is located discreetly away from the hustle and bustle of Queenstown, tucked away alongside heritage buildings in the town’s core.